We have three rooms for you to choose to stay in. 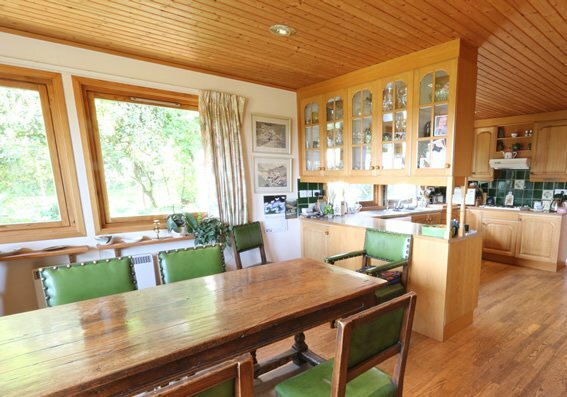 Hornbeams is a comfortable modern Swedish bungalow and as such is warm in winter and cool, light and airy in the summer. 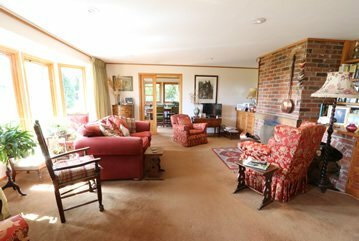 The most important feature being the panoramic stunning view over the rolling countryside of Kent. Comfortable beds and well appointed bathrooms. 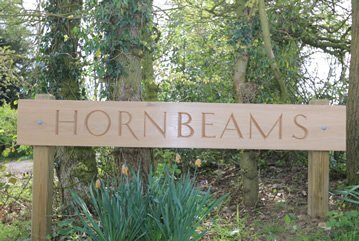 Hornbeams is brilliant for wheelchair users. 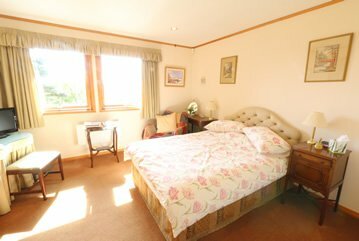 There are sheep in the field by the garden, there are riding stables nearby, excellent walks and a pay and play golf course 15 minutes drive away. There are many beaches, on the north and south coast of Kent, within 30 minutes drive. All very peaceful away from the hustle and bustle of life, set in a beautiful garden with plenty of private parking and yet close to Canterbury 7 miles and Dover 10 miles, worth staying here for the night before embarking on a trip to France with the Channel Tunnel being 20 minutes away.